No smoking anywhere on Descanso property (including parking lots). Photography policy within the Gardens. No outside flowers within the Gardens, with the exception of approved rental clients. No bikes, motorcycles, horses or hunting. Children must remain with an adult. Respect the Gardens by NOT picking flowers, leaves or seeds, walking in flower beds, or climbing the trees. Do not feed or disturb the wildlife. Personal music devices with headsets only. Running, throwing balls or toys, climbing or games. Sunbathing (shoes and shirts required at all times). Bathing, wading, poking at the fish, splashing in water features. High voltage wires are overhead: no model airplanes, drones, kites, or metallic balloons. 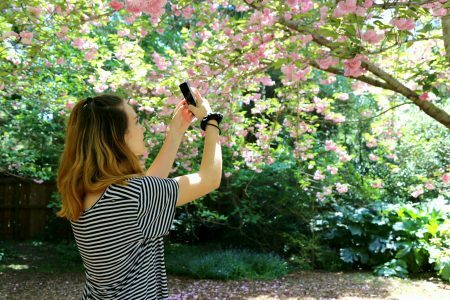 Descanso Gardens welcomes artists and photographers to capture our natural beauty. Please review the Photographer/Artist Guidelines prior to your entry. There are limitations on equipment that amateur photographers may bring into Descanso Gardens. Professional photographers may arrange access to the Gardens by contacting the Special Events Department at (818) 949-4291 or specialevents@descansogardens.org.